In this practical and pointed meditation instruction, Upasika Kee Nanayon, the foremost woman dhamma teacher in twentieth-century Thailand, shows us how to combine concentration and clear-seeing to penetrate the “mass of deceit” that is the mind. It’s important that we discuss the steps of the practice in training the mind, for the mind has all sorts of deceptions by which it fools itself. If you aren’t skillful in investigating and seeing through them, they are very difficult to overcome, even if you’re continually mindful to keep watch over the mind. You have to make an effort to contemplate these things at all times. Mindfulness on its own won’t be able to give rise to any real knowledge. At best, it can give you only a little protection against the effects of sensory contact. If you don’t make a focused contemplation, the mind won’t be able to give rise to any knowledge within itself at all. This is why you have to train yourself to be constantly aware all around. When you come to know anything for what it really is, there’s nothing but letting go, letting go. On the beginning level, this means the mind won’t give rise to any unwise or unprofitable thoughts. It will simply stop to watch, stop to know within itself. If there’s anything you have to think about, keep your thoughts on the themes of inconstancy, stress and not-self. You have to keep the mind thinking and labeling solely in reference to these sorts of themes, for if your thinking and labeling are right, you’ll come to see things rightly. If you go the opposite way and label things wrongly, you’ll see things wrongly as well. This keeps the mind completely hidden from itself. Now, when thoughts or labels arise in the mind, then if you focus on watching them closely, you’ll see that they’re sensations—sensations of arising and disbanding, changeable, unreliable and illusory. If you don’t make an effort to keep a focused watch on them, you’ll fall for the deceptions of thought-fabrication. In other words, the mind gives rise to memories of the past and fashions issues dealing with the past, but if you’re aware of what’s going on in time, you’ll see that they’re all illusory. There’s no real truth to them at all. Even the meanings the mind gives to good and bad sensory contacts at the moment they occur—if you carefully observe and contemplate them, you’ll see that they’re all deceptive. There’s no real truth to them. But ignorance and delusion latch onto them, and this drives the mind around in circles. It doesn’t know what’s what—how these things arise, persist and disband—so it latches on to them and gets itself deceived on many, many levels. If you don’t stop and focus, there’s no way you can see through these things. But if the mind keeps its balance, stopping to watch and know itself, it realizes these things for what they are. When it does that, it lets them go automatically without being attached. This is the knowledge that comes with true mindfulness and discernment. It knows and lets go; it doesn’t cling. No matter what appears—good or bad, pleasure or pain—when the mind knows, it doesn’t cling. When it doesn’t cling, there’s no stress or suffering. You have to keep hammering away at this point. When it doesn’t cling, the mind can stay at normalcy: empty, undisturbed and quiet. But if it doesn’t read and know itself in this way, it will fall for the deceits of defilement and craving. It will fashion all sorts of complex and complicated things that it will have a hard time seeing through, for they have their ways of playing up to the mind to keep it attached to them, all of which is simply a matter of the mind’s falling for the deceits of the defilements and cravings within itself. The fact that it isn’t acquainted with itself—doesn’t know how mental states arise and disband and take on objects—means that it loses itself in its many, many attachments. There’s nothing as hard to keep watch of as the mind, because it’s so accustomed to wrong views and wrong opinions. This is what keeps it hidden from itself. But thanks to the teachings of the Buddha, we can gain knowledge into the mind, or into consciousness with its many layers and intricacies, which when you look into it deeply, you’ll find to be empty—empty of any meaning in and of itself. This is an emptiness that can appear clearly within consciousness. Even though it’s hidden and profound, we can see into it by looking inward in a way that’s quiet and still. The mind stops to watch, to know within itself. As for sensory contacts—sights, sounds, smells, tastes and that sort of thing—it isn’t interested, because it’s intent on looking into consciousness pure and simple, to see what arises in there and how it generates issues. Sensations, thoughts, labels for pleasure and pain and so forth, are all natural phenomena that change as soon as they’re sensed—and they’re very refined. If you view them as being about this or that matter, you won’t be able to know them for what they are. The more intricate the meanings you give them, the more lost you become—lost in the whorls of the cycle of rebirth. The cycle of rebirth and the processes of thought-fabrication are one and the same thing. As a result, we whirl around and around, lost in many, many levels of thought-fabrication, not just one. The knowledge that would read the heart can’t break through, for it whirls around and around in these very same thought-fabrications, giving them meaning in terms of this or that, and then latching on to them. If it labels them as good, it latches on to them as good. If it labels them as bad, it latches onto them as bad. This is why the mind stays entirely in the whorls of the cycle of rebirth, the cycle of thought-fabrication. To see these things clearly requires the effort to stop and watch, to stop and know in an appropriate way, in a way that’s just right. At the same time, you have to use your powers of observation. That’s what will enable you to read your own consciousness in a special way. Otherwise, if you latch onto the issues of thoughts and labels, they’ll keep you spinning around. So you have to stop and watch, stop and know clearly by focusing on the consciousness in charge. That way your knowledge will become skillful. Ultimately, you’ll see that there’s nothing at all—just the arising and disbanding occurring every moment in emptiness. If there’s no attachment, there are no issues. There’s simply the natural phenomenon of arising and disbanding. But since we don’t see things simply as natural phenomena, we see them as being true and latch onto them as self, as good or bad, and as all sorts of complicated things. This keeps us spinning around without knowing how to find a way out or what to let go of—we just don’t know. When we don’t know, we’re like a person who wanders into a jungle and can’t find the way out. Actually, what we have to let go of lies right smack in front of us, where the mind fashions things and gives them meanings so that it doesn’t know the characteristics of arising and disbanding, pure and simple. If you can simply keep watching and knowing, without any need for meanings, thoughts, imaginings—simply watching the process itself—there won’t be any issues. There’s just the phenomenon of the present: arising, persisting, disbanding, arising, persisting, disbanding. There’s no special trick to this, but you have to stop and watch, stop and know within yourself at every moment. Don’t let your awareness stream away from awareness to outside preoccupations. Gather it in so it can know itself clearly—that there’s nothing in there worth latching onto. It’s all a mass of deceit. To know just this much is very useful for seeing the truth inside yourself. You’ll see that consciousness is empty of any self. When you look at physical phenomena, you’ll see them as elements, as empty of self. You’ll see mental phenomena as empty of self, as elements of consciousness. And you’ll see that if there’s no attachment, no latching on, there’s no suffering or stress. So even if there’s thinking going on in the mind, simply watch it, let it go, and its cycling will slow down. Fewer and fewer thought-fabrications will occur. Even if the mind doesn’t stop completely, it will form fewer and fewer thoughts. You’ll be able to stop and watch, stop and know more and more. And this way, you’ll come to see the tricks and deceits of thought-fabrication, mental labels, pleasure and pain, and so on. You’ll be able to know that there’s really nothing inside—that the reason you were deluded into latching onto things was your ignorance, and that you made yourself suffer right there in that very ignorance. So you have to focus on one point, one thing. Focusing on many things won’t do. Keep mindfulness in place: stopping, knowing, seeing. Don’t let it run out after thoughts and labels. But knowing in this way requires that you make the effort to stay focused—focused on seeing clearly, not just focused on making the mind still. Focus on seeing clearly. Look inside to see clearly, and contemplate how to let go. The mind will become empty in line with its nature in a way that you’ll know exclusively within. What can we do to see the aggregates—this mass of suffering and stress—so clearly that we can cut attachment for them out of the mind? 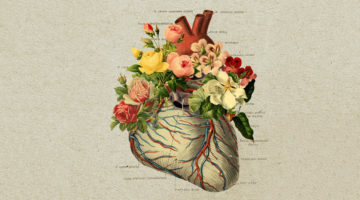 Why is it that people studying to be doctors can know everything in the body—intestines, liver, kidneys and all—down to the details, and yet don’t develop any dispassion or disenchantment for it? Why is it that undertakers can spend their time with countless corpses and yet not gain any insight at all? This shows that insight is hard to attain. If there’s no mindfulness and discernment to see things clearly for what they are, knowledge is simply a passing fancy. It doesn’t sink in. The mind keeps latching onto its attachments. But if the mind can gain true insight to the point where it can relinquish its attachments, it can gain the paths and fruitions leading to nibbana. This shows that there’s a difference in the knowing. It’s not that we have to know all the details like modern-day surgeons. All we have to know is that the body is composed of the four physical elements plus the elements of space and consciousness. If we really know just this much, we’ve reached the paths and their fruitions, while those who know all the details, to the point where they can perform fine surgery, don’t reach any transcendent attainments at all. So let’s analyze the body into its elements so as to know them thoroughly. If we do, then when there are changes in the body and mind, there won’t be too much clinging. If we don’t, our attachments will be fixed and strong and will lead to future states of being and birth. Now that we have the opportunity, we should contemplate the body and take it apart to get down to the details. Take the five basic meditation objects—hair of the head, hair of the body, nails, teeth and skin—and look at them carefully one at a time. You don’t have to take on all five, you know. Focus on the hair of the head to see that it belongs to the earth element, to see that its roots are soaked in blood and lymph under the skin. It’s unattractive in terms of its color, its smell and where it dwells. If you analyze and contemplate these things, you won’t be deluded into regarding them as yours: your hair, your nails, your teeth, your skin. All of these parts are composed of the earth element mixed in with water, wind and fire. If they were purely earth they wouldn’t last, because every part of the body has to be composed of all four elements for it to be a body. And then there’s a mental phenomenon, the mind, in charge. These are things that follow in line with nature—the arising, changing and disbanding of physical and mental phenomena—but we latch onto them, seeing the body as ours, the mental phenomena as us: it’s all us and ours. If we don’t see these things for what they are, we’ll do nothing but cling to them. This is what meditation is: seeing things clearly for what they are. It’s not a matter of switching from topic to topic, for that would simply ensure that you wouldn’t know a thing. But our inner character, under the sway of ignorance and delusion, doesn’t like examining itself repeatedly. It keeps finding other issues to get in the way, so that we think constantly about other things. This is why we stay so ignorant and foolish. Then why is it that we can know other things? Because they fall in line with what craving wants. To see things clearly for what they are would be to abandon craving, so it finds ways of keeping things hidden. It keeps changing, bringing in new things, keeping us fooled, so that we study and think about nothing but matters that add to the mind’s suffering and stress. That’s all that craving wants. As for the kind of study that would end the stress and suffering in the mind, it’s always getting in the craving’s way. This is why the mind is always wanting to shift to new things to know, new things to fall for. And this is why it’s always becoming attached. So when it doesn’t really know itself, you have to make a real effort to see the truth that the things within it aren’t you or yours. Don’t let the mind stop short of this knowledge. Make this a law within yourself. If the mind doesn’t know the truths of inconstancy, stress and not-self within itself, it won’t gain release from suffering. Its knowledge will be worldly knowledge; it will follow a worldly path. It won’t reach the paths and fruition leading to nibbana. So this is where the worldly and the transcendent part ways. If you comprehend inconstancy, stress and not-self to the ultimate degree, that’s the transcendent. If you don’t get down to their details, you’re still on the worldly level. The Buddha has many teachings, but this is what they all come down to. 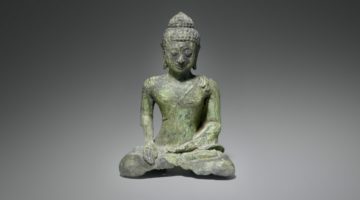 The important principles of the practice—the four establishings of mindfulness, the Four Noble Truths—all come down to these characteristics of inconstancy, stress and not-selfness. If you try to learn too many principles, you’ll end up with no clear knowledge of the truth as it is. If you focus on knowing just a little, you’ll end up with more true insight than if you try knowing a lot. It’s through wanting to know too many things that we end up deluded. We wander around in our deluded knowledge, thinking and labeling things, but knowledge that is focused and specific, when it really knows, is absolute. It keeps hammering away at one point. There’s no need to know a lot of things, for when you really know one thing, everything converges right there. In practicing the dhamma, if you don’t foster a balance between concentration and discernment, you’ll end up going wild in your thinking. If there’s too much working at discernment, you’ll go wild in your thinking. But if there’s too much concentration, the mind just stays still and undisturbed without coming to any knowledge. So you have to keep discernment and stillness in balance. Don’t let there be too much of one or the other. Try to get them just right. That’s when you’ll be able to see things clearly all the way through. Otherwise you’ll stay as deluded as ever. You may try to gain discernment into too many things—and as a result your thinking goes wild. Some people keep wondering why discernment never arises in their practice, but when it does arise they really go off on a tangent. Their thinking goes wild, all out of bounds. So when you practice, you have to observe in your meditation how you can make the mind still. Once it does grow still, it tends to get stuck there. Or it may become empty, without any knowledge of anything: quiet, disengaged, at ease for a while, but without any discernment to accompany it. But if you can get discernment to accompany your concentration, that’s when you’ll really benefit. You’ll see things all the way through and be able to let them go. If you’re too heavy on the side of either discernment or stillness, you can’t let go. The mind may come to know this or that, but it latches onto its knowledge. Then it knows still other things and latches onto them, too. Or else it simply stays perfectly quiet and latches onto that. It’s not easy to keep your practice on the Middle Way. If you don’t use your powers of observation, it’s especially hard. The mind will keep falling for things, sometimes right, sometimes wrong, because it doesn’t observe what’s going on. This isn’t the path to letting go. It’s a path to getting stuck, caught in things. If you don’t know what it’s stuck and caught in, you’ll remain foolish and deluded. So make an effort at focused contemplation until you see clearly into inconstancy, stress and not-self. This, without a doubt, will stop every moment of suffering and stress. The sensations of the mind are subtle and very volatile. Sometimes passion or irritation can arise independently of sensory contact, simply in line with one’s character. For instance, there are times when the mind is perfectly normal and all of a sudden there’s irritation—or there’s a desire to form thoughts and get engrossed in feelings of pain, pleasure or equanimity. We have to contemplate these three kinds of feeling to see how they’re inconstant, always changing and stressful, so that the mind won’t go and get engrossed in them. This business of getting engrossed is subtle. It keeps us from knowing what’s what; it is delusion pure and simple. Being engrossed in feelings of pleasure is relatively easy to detect, but being engrossed in feelings of equanimity, that’s hard to notice, if the mind is at equanimity in an oblivious way. This oblivious equanimity keeps us from seeing anything clearly. So you have to focus on seeing feelings simply as feelings and pull the mind out of its infatuation with equanimity. When there’s a feeling of equanimity as the mind gathers and settles down, use that feeling of equanimity in concentration as the basis for probing into inconstancy, stress and not-self—for this equanimity in concentration at the fourth level of absorption (jhana) is the basis for liberating insight. Simply make sure that you don’t get attached to the absorption. If you get the mind to grow still in equanimity without focusing on gaining insight, it’s simply a temporary state of concentration. So you have to focus on gaining clear insight into either inconstancy, stress or not-selfness. That’s when you’ll be able to uproot your attachments. If the mind gets into a state of oblivious equanimity, it’s still carrying fuel inside it. Then as soon as there’s sensory contact, it flares up into attachment. So we have to follow the principles the Buddha laid down: focus the mind into a state of absorption and then focus on gaining clear insight into the three characteristics. The proper way to practice is not to let yourself get stuck on this level or that—and no matter what insights you may gain, don’t go thinking that you’ve gained Awakening. Keep looking. Keep focusing and see if there are any further changes in the mind, and if there are, see the stress and the not-selfness of those changes. If you can know in this way, the mind will rise above feeling, no longer entangled in this level or that level, all of which are simply matters of speculation. The important thing is that you try to see clearly. Even when the mind is fabricating all sorts of objects in a real turmoil, see these objects as illusory. Then stay still and watch their disbanding. See clearly that there’s really nothing to them. They all disband. All that remains is the empty mind—the mind maintaining its balance in normalcy. Focus on examining that. There are many levels of examining the diseases in the mind, not just one. If you come up with a genuine insight, don’t stop there—and don’t get excited about seeing things you never saw before. Just keep contemplating the theme of inconstancy in everything, without latching on, and then you’ll come to even more penetrating insights. So keep focusing until the mind stops, until it reaches the stage of absorption called purity of mindfulness and equanimity. See what pure mindfulness is like. As for the feeling of equanimity, that’s an affair of concentration. It’s what the mindfulness depends on so that it too can reach equanimity. This is the stage where we consolidate our awareness in order to come in and know the mind. Get the mind centered, at equanimity, and then probe in and contemplate. That’s when you’ll be able to see. Opening the door and really seeing inside yourself isn’t easy, but you can train yourself to do it. If you have sufficient mindfulness to read yourself and understand yourself, that cuts through a lot of issues right there. Craving will have a hard time forming. In whatever guise it arises, you’ll get to read it, to know it, to extinguish it, to let it go. When you get to do these things, it doesn’t mean that you “get” anything, for actually once the mind is empty, it doesn’t gain anything at all. But to put it into words for those who haven’t experienced it: In what ways is emptiness empty? Does it mean that everything disappears or is annihilated? Actually, emptiness doesn’t mean that the mind is annihilated. All that’s annihilated is clinging and attachment. What you have to do is this: see what emptiness is like as it actually appears and then not latch onto it. The nature of this emptiness is that it’s deathless within you—this emptiness of self—and yet the mind can still function, know and read itself. Just don’t label it or latch onto it, that’s all. There are many levels of emptiness, many types, but if it’s emptiness of this or that type, then it’s not genuine emptiness, for it contains the intention that’s trying to know what type of emptiness it is, what features it has. This is something you have to look into deeply if you really want to know. If it’s superficial emptiness—the emptiness of the still mind, free from thought-fabrications about its objects or free from the external sense of self—that’s not genuine emptiness. Genuine emptiness lies deep, not on the level of mere stillness or concentration. The emptiness of the void is something very profound. But because of what we’ve studied and heard, we tend to label the emptiness of the still mind as the void—but this is labeling things wrongly in that emptiness. Actually, it’s just ordinary stillness. We have to look more deeply. No matter what you’ve encountered or you’ve heard about before, don’t get excited. Don’t label it as this or that level of attainment. Otherwise you’ll spoil everything. You reach the level where you should be able to keep your awareness steady, but once you label things, it stops right there—or else goes all out of control. This labeling is attachment in action. It’s very subtle, very refined. Whatever appears, it latches on. So you simply have to let the mind be empty without labeling it as anything. The emptiness that lets go of preoccupations or that’s free from the influence of thought-fabrications is something you have to look further into. Don’t label it as this or that level, for to measure and compare things in this way blocks everything—and in particular, knowledge of how the mind changes. So to start out, simply watch these things; simply be aware. If you get excited, you’ll ruin everything. Instead of seeing things clear through, you won’t. You’ll stop there and won’t go any further. For this reason, when you train the mind or contemplate the mind to the point of gaining clear realizations every now and then, regard them as simply things to observe. Upasika Kee Nanayon was born near Rajburi, Thailand, to a Chinese merchant family in 1901. Early in her life, her mother taught her the rudiments of Buddhist practice, which she applied as fully as her career allowed. At age forty-four, with the death of her father, she sold her business and founded a forest retreat center, where she devoted her life to a rigorous schedule of meditation and study. To the community of friends and family that grew around her Upasika Kee would give extemporaneous talks, some of which were recorded, transcribed and freely distributed. 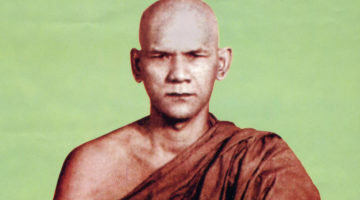 As word of her teachings and practice spread, Upasika Kee Nanayon became one of the best-known lay teachers, male or female, in Thailand. She died in 1993. This article is excerpted from Pure and Simple: The Extraordinary Teachings of a Thai Buddhist Laywoman (Wisdom Publications), selected and translated by Thanissaro Bhikkhu. Excerpted from Pure and Simple: The Extraordinary Teachings of a Thai Buddhist Laywoman, by Upasika Kee, with permission of Wisdom Publications. ® Metta Forest Monastery, 2005.